The HornetQ code base was donated to the Apache ActiveMQ community late last year and now resides as a sub project under the ActiveMQ umbrella named 'Artemis'. Since the code donation, the developers have been working tirelessly to get an initial release of Artemis out the door; to allow folks to give it a whirl and to finalise the donation process. With the release of Apache Artemis 1.0.0, that process has come to a close and the code donation has now been completed. The active developer community has migrated across to Artemis; all of the developers that were active on HornetQ are now committers to the Artemis project; working on the code base as part of the ActiveMQ umbrella. 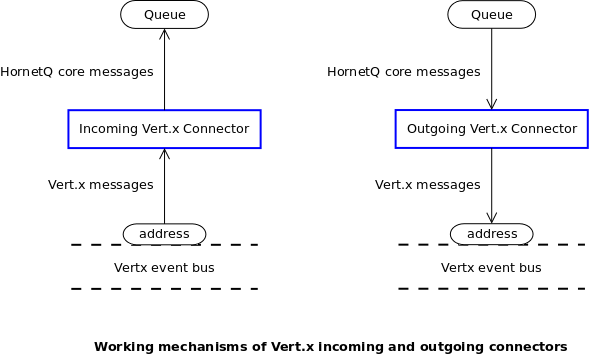 The hope is that the union of the two great communities HornetQ and ActiveMQ will provide a path for a next generation of message broker with more advanced features, better performance and greater stability. We feel we can achieve these goals using the Artemis core with it's superior performance in combination with the vast feature offering of ActiveMQ. As Aristotle once put it "The whole is greater than the sum of it's parts". Let's hope this holds true for this union and great things will happen. The Artemis project is targeted to house this next generation of message broker, as such any new feature requests or contributions from the HornetQ community should now be placed into the Artemis stream of development. HornetQ will of course have bugs fixed on its active branches (2.3 and 2.4) but will be mostly in maintenance only mode. For those HornetQ users who are wishing to migrate to Artemis 1.0.0, your job should be easy, Artemis is already compatible with HornetQ clients and supports a number of other protocols such as AMQP, Stomp, ActiveMQ's native messaging protocol 'OpenWire' (at Alpha with support for ActiveMQ JMS clients and basic transport) and also JMS 2. In addition we have already started development on support for MQTT. To find out more on the Artemis project and how to subscribe to the Artemis mailing lists and get involved, please visit the Artemis website here: http://activemq.apache.org/artemis.